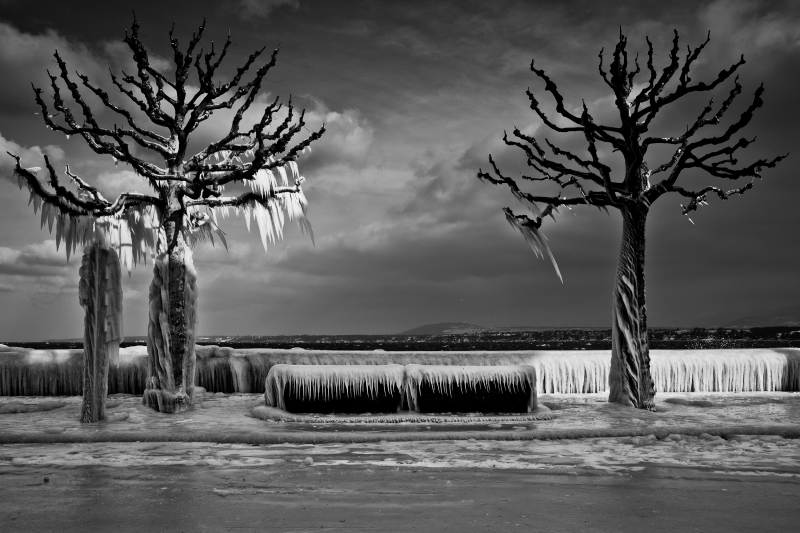 2012 saw record freezing temperatures on the shores of Lake Geneva, in Switzerland. The small town of Versoix and its shores were almost entirely encased in ice from the waves of the lake. I had once chance to snap this as the waves were crashing hard and i could barely keep my footing on the slippery ice. A true testament of natures beauty and fury all at once.